Chief of General Staff Gen. Hulusi Akar and Maj. Gen. Mehmet Dişli seen together on July 16, 2016. An indictment drafted in the case of a failed coup attempt on July 15 claims that the team of Maj. Gen. Mehmet Dişli, one of the alleged leaders of the putsch and the brother of ruling Justice and Development Party (AKP) Deputy Chairman Şaban Dişli, used fighter jets to bomb the parliament building in Ankara, Hürriyet reported on Monday. According to the report, 18 out of 20 officers including Mustafa Azimetli, who bombed Parliament, and Ahmet Özçetin, who gave the order, under the command of Maj. Gen. Dişli, were part of the coup attempt. Dişli and Orhan Yıkılkan, an adviser to Chief of General Staff Gen. Hulusi Akar, went up to Gen. Akar’s office at 20:51 on July 15. Two hours, 12 minutes later Dişli and the pustchists took Gen. Akar to Akıncılar Base. Maj. Gen. Dişli has been center of debate due to his appointment to higher posts and his role in the coup attempt. Last December, the pro-Erdoğan Yeni Şafak daily published a photograph of Maj. Gen. Dişli, who appeared in an Ankara court for additional testimony. In the photo, Dişli was seen without handcuffs and appeared at ease with the other people around him. The Gazeteport news website shared the picture as evidence of a double standard in dealing with putschist generals. In February CHP deputy Mahmut Tanal said that Gen. Akar and Maj. Gen. Dişli bought a piece of land together in Sakarya province. “I have this information. I asked but did not receive a response. I will continue to ask until I get a response. Who buys land together? It is claimed that they bought the land to be neighbors in their retirement. People prefer to be neighbors with those who share common ideas. If this is true, then another kind of relationship could be brought into question,” said Tanal. Following the failed coup attempt on July 15, Turkish media reported that Chief of General Staff Akar was on the same helicopter with Dişli after he was saved from the coup. 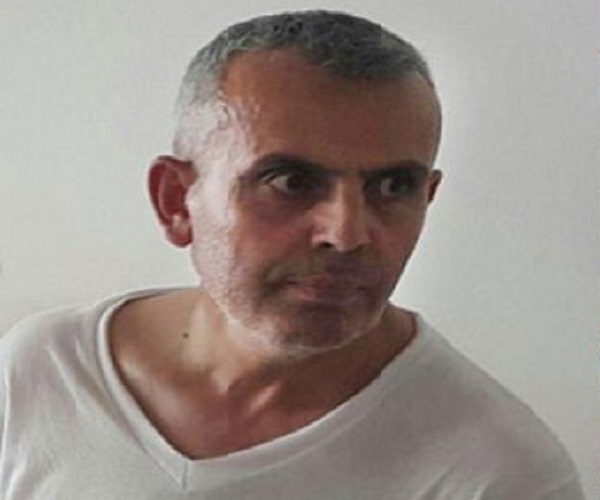 Turkish media added that another military member told Akar on the helicopter that he saw Dişli giving orders to coup plotters outside Akar’s room. The parliamentary commission that was set up to investigate the failed coup attempt on July 15 declined to invite Akar to testify. Ruling AKP deputies and the chairman of the commission from the AKP prevented the testimony of National Intelligence Organization (MİT) Undersecretary Hakan Fidan and Gen. Akar before the commission. President Recep Tayyip Erdoğan and Prime Minister Binali Yıldırım accused Fidan and Akar of failing to inform them about the coup attempt on July 15 despite the fact that they had learned of the coup plan six hours earlier, but both retained their positions despite a huge purge after the coup. Although the Turkish military stated on July 27 that 8,651 military members including cadets and conscripts took part in a July 15 coup attempt, the government has dismissed over 22,000 military personnel including high-ranking generals. A report prepared by the EU Intelligence Analysis Centre (IntCen) revealed that although President Erdoğan and the Turkish government immediately put the blame for the July 15 failed coup on the faith-based Gülen movement, the coup attempt was staged by a range of Erdoğan’s opponents due to fears of an impending purge, according to a report by The Times newspaper on Jan. 17. The Aldrimer.no website reported on Jan. 25 that NATO sources believe the coup was staged by the president of Turkey himself.